June 30th in WordPress Themes by Wordpress Jedi . We have seen a number of awesome infographics in the past few years. Many webmasters rely on them to generate links to their websites and get their brands in front of more people. Most folks hire infographic designers to help them develop professional works. If you know your way around design tools, you may want to create your own visuals to have more control over the final product and save money in the process. Infographer lets you take the idea a step further. 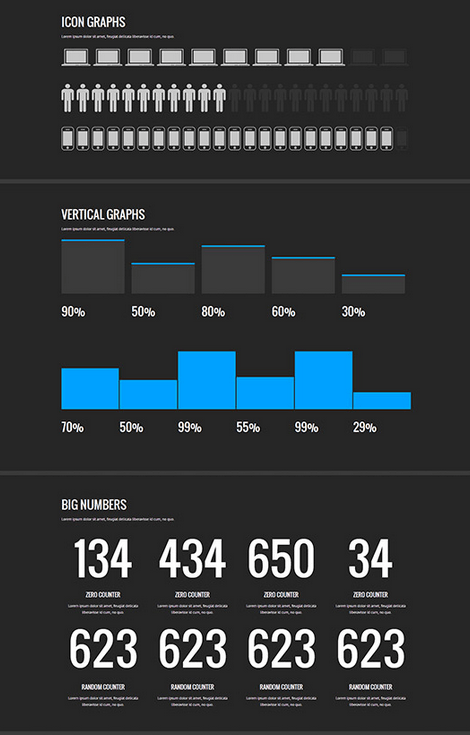 It turns your website into an attractive infographic. Infographer is pretty unique in what it offers. It has interactive elements such as animations, icons, and images you can use to present your data in a professional manner. Its AJAX animation can be turned on and off. 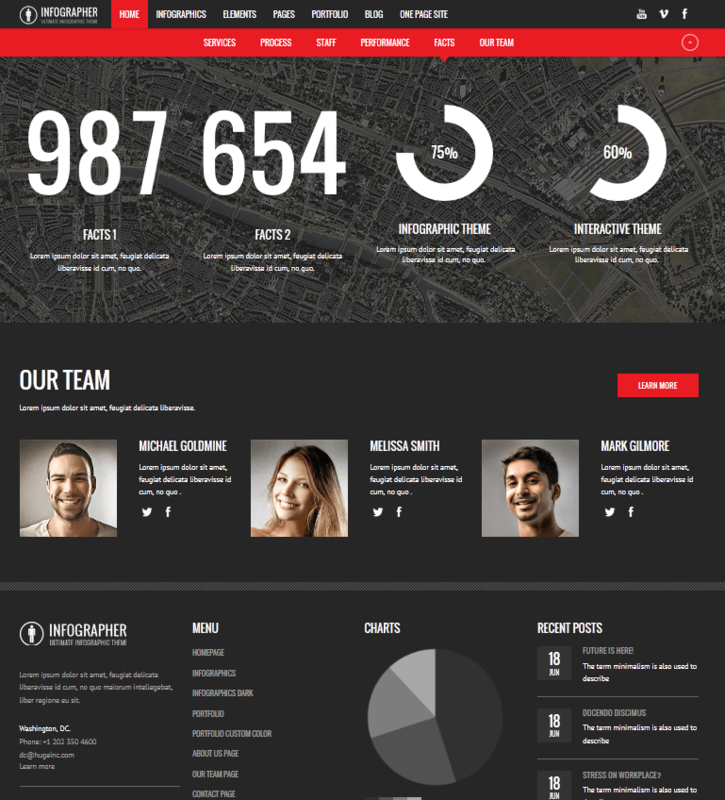 The theme is Retina ready and fully responsive. You can customize colors and the sizes of elements easily. Infographer has a flexible layout. Use its shortcodes and back-end to customize it to your liking. It comes bundled with the Slider Revolution plugin. Want to translate the theme? No problem. You can even create your own child themes. Infographer can be used for presentation sites too (offers Parallax pages). Infographer has a professional design and is easy to customize. 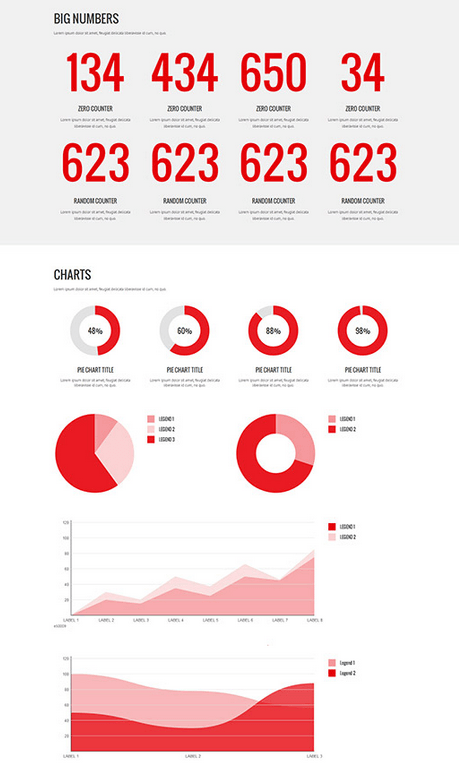 A great solution for visualizing your data and giving your business site a more professional look.